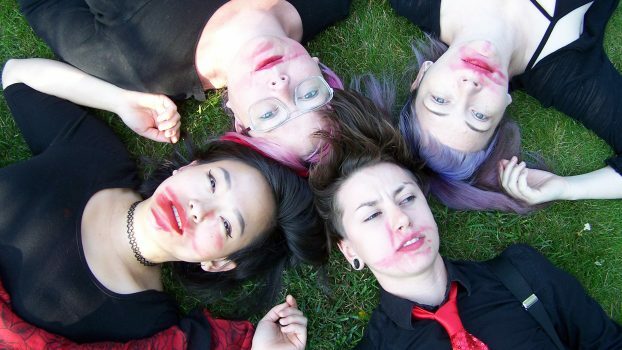 As the Free Bleeders, we sing songs of unity, steeped in Feminist ethos, aimed at challenging people (including ourselves) to question individual and group participation in systems of oppression and confront racist, sexist, classist, homophobic, ableist, and all other marginalizing and aggressive behaviors. We are instigators of the period positive movement, seeking to crush the stigma of menstruation that is rooted in misogyny, classism and cisgender privilege. We strive to use our music and voices to create access to resources for those who are the most vulnerable to menstrual stigma. We do not pretend for a moment that periods are an amazing and life-affirming experience for everyone. We acknowledge that the pain, discomfort, series health problems, and emotional distress related to menstruation must be addressed. We want bleeders, pre-bleeders, post-bleeders, and no-bleeders to benefit from this activism. Together, with anyone who comes to hear our songs, we welcome and embrace a community performance space. In which, the atmosphere is free of discrimination, attune to macro/microaggressions, and a space to listen, learn, and let loose. At all times we call-in with love and call-out with as much understanding (as possible) but step-up so we don’t have to. T Lou Ease, Singer, Agitator; Tasha Peace, Guitar, Vindicator; Lainie Epstein, Bass, Instigator; Melissa Coppola Drums, Mischief-Maker. We started playing music in February 2016. 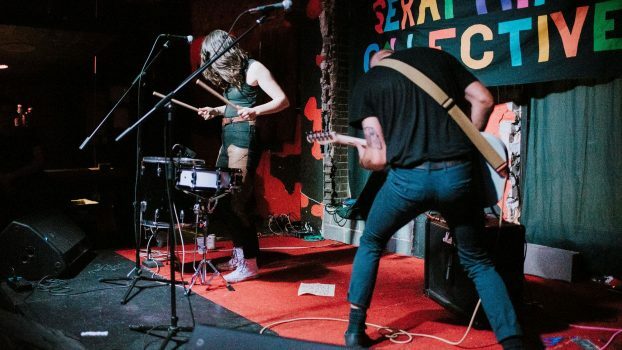 We came together as total strangers with a shared passion for Feminist Punk Music and to challenge the misogynistic and white washed punk scene in our area. Our goal is to call you in with love. Barebone yellrock light on its feet, toe-bouncing about to throw a punch. No time to sit there is a drum for each hand with a lot to say, chanting primal spells under spun-out chords to keep you moving. 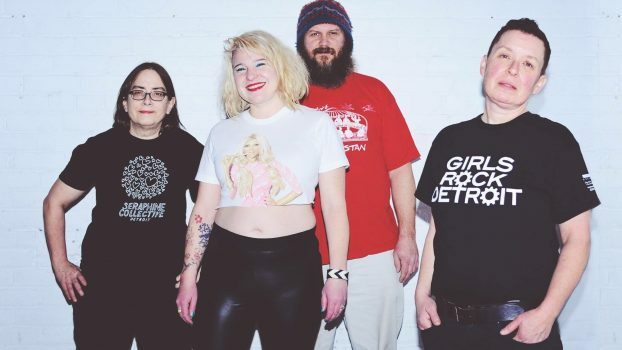 Scary Women are a four piece rock band (Jennifer Gower-Toms, Joel Kuiper, Tammy Cook and Amy Starr) hailing from Lansing, MI. We formed in the summer of 2015 and played our first show in September of that year. At the start of 2018 we released our debut full length CD “Scary Women”, opened for The Vibrators UK! and in October of that year we played our 100th show. We’ve played shows extensively across lower Michigan and are currently booking in Chicago, Indianapolis and throughout the Midwest. 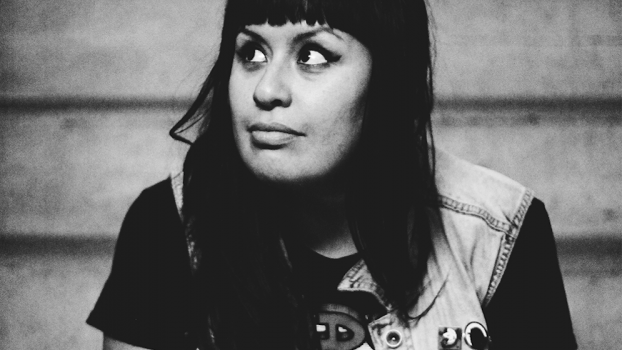 City Mouse was born when Miski Dee Rodriguez walked away from her hustle and bustle corporate world in Los Angeles, CA and sold her soul to rock n’ roll. Touring relentlessly for the past 10 years, the band has played their hearts out across the U.S.A., Canada and Mexico. The band has released several singles over the years but on October 13th, 2017 the band is set to release their first full-length record Get Right on Southern California-based independent label It’s Alive Records. The new album, produced by Mass Giorgini (Screeching Weasel, Alkaline Trio, Rise Against), delivers on an emotional level that pushes and pulls at your heart with every note and word. Whether empowering or heartbreaking, each song is crafted and played with an honesty and passion that commands attention and draws you in deeply.